Wall hung bathrooms are very much the vogue with their clean cut styling and practical off the floor maintenance. 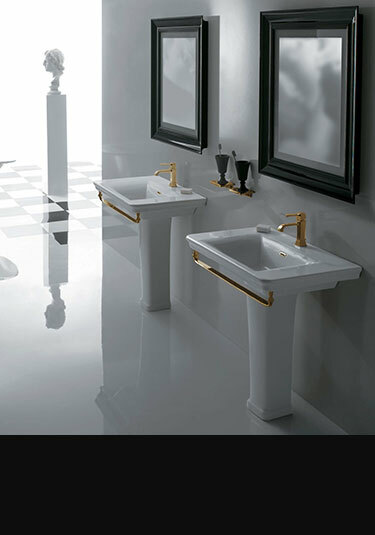 At Livinghouse we have collated a beautiful collection of Italian wall mounted basins and wall hung sinks that make an ideal design choice for wall mounted bathrooms. This range of wall mounted basins are from exclusive designer bathroom suite collections that offer a full range of matching wall hung toilets, bidets and basins. Manufactured in Europe ensures these wall hung sinks are superb quality and in the latest luxury Italian designs. 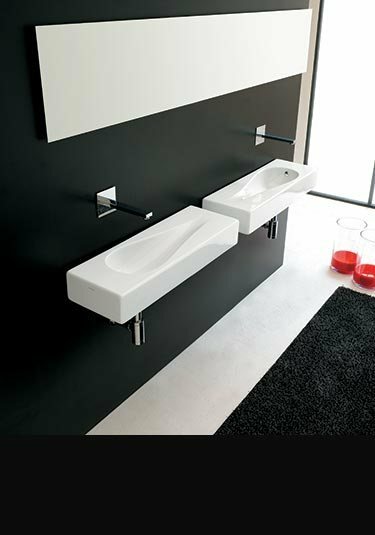 Our wall basins are supplied in many contemporary styles to suit large and small bathrooms. 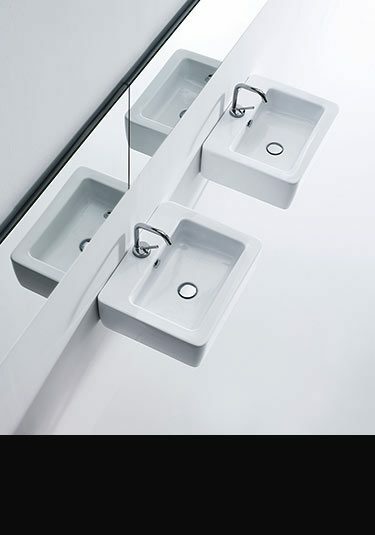 We have sinks that are space saving and ideal for wall hung cloakrooms or ensuites, where a compact sink is often required. 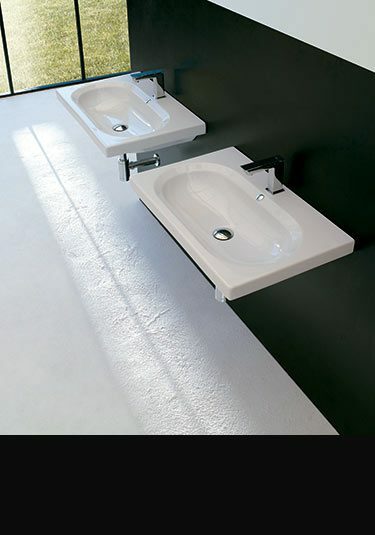 We offer large 900mm wall hung basins for the larger bathroom with curved, square and rectangular designs also available for different wall mounted bathroom themes. A lovely design feature of wall hanging basins is the ability to dress the basin with a nice chrome bottle trap and tap elbows which then becomes a design feature in its self. Wall mounted wash basin with towel rail. This designer wall hung basin is high quality European design and manufacture. 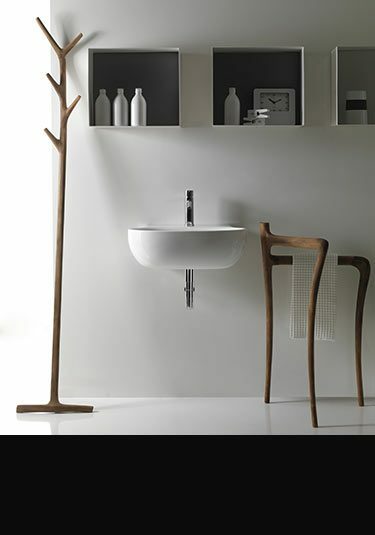 An attractive wall mounted basin with half pedestal for cleverly hiding of basin waste and tap pipes. A space saving sink that can still be used in larger bathrooms has a unique tear design. Available in 600mm and 810mm lengths. 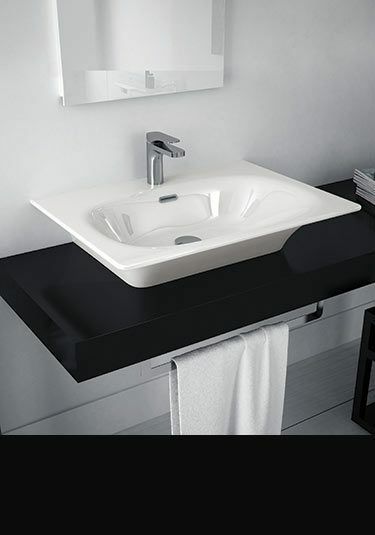 A contemporary rectangular wash basin is an ideal choice for high quality designer bathrooms. Designed and manufactured in Europe. 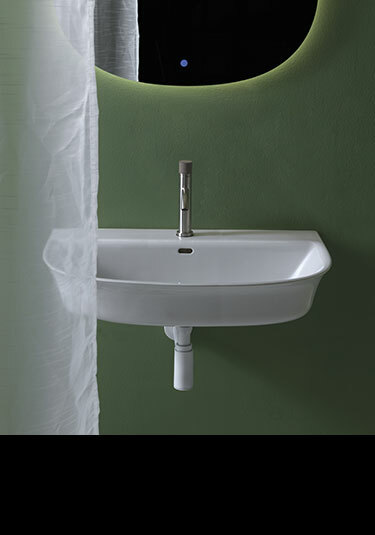 A lovely styled wall mounted basin in a pleasing contemporary design. Available in 2 sink sizes, the small for cloakrooms and small ensuites and the larger for the bathrooms. Classically contemporary basin for wall hanging, this washbasin has a stylish tapered top rim. Designed and manufactured in Italy. 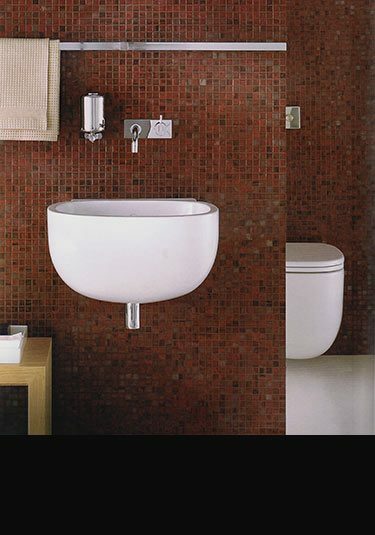 A modern wall hung basin with a nice and deep bowl is a contemporary bathroom design made and designed in Italy. An Italian offset basin with a handy side shelf. 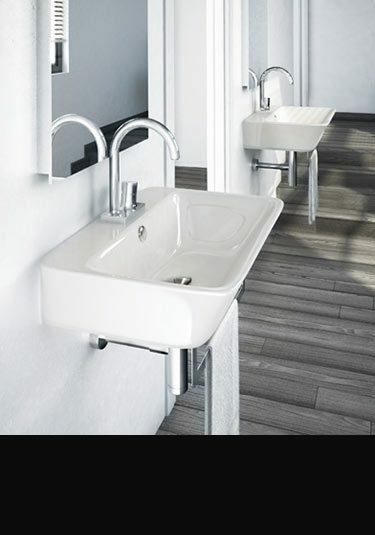 Available in 2 sizes 700mm and 900mm long and with the option of left or right handed basins. 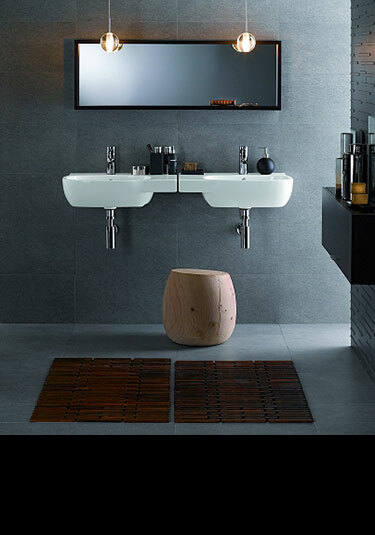 A beautiful wall hung wash basin that has slim rectangular styling and highly contemporary. Each rectangular wall mounted basin is available in 3 basin dimensions to suit all designer bathroom sizes. Part of a brand new bathroom suite collection. A luxury wall mounted basin styled in Italy. 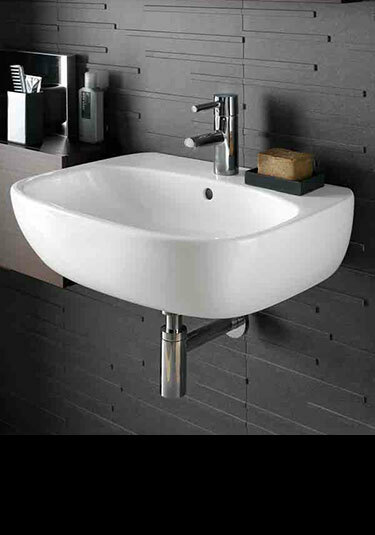 Available in two wall hung basin dimensions this contemporary sink can be supplied with a real wood towel rail and a semi pedestal for hidding the waste and pipework. Latest in Italian bathroom design. 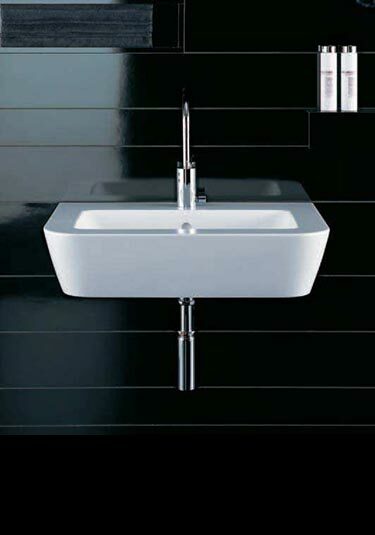 This highly contemporary wall basin with wall hung styling, is ideal for high quality designer bathrooms. Part of a newly launched luxury bathroom suite collection designed and made in Italian. A new Italian collection, this wash basin can be wall mounted, fitted to a counter top or supplied with a stylish wooden washstand. The basin is shown in white but is also supplied in black and white and white with black spots. A lovely designer basin styled to be a little different. 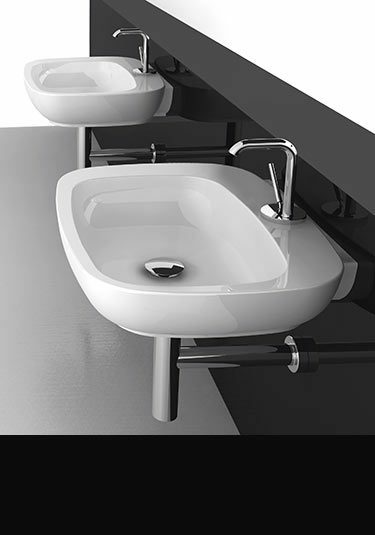 Designed as wall mounted basin or a low counter top basin, that is supplied with a single tap hole. Available in 3 finishes. This triangular wall hung basin is the latest in Italian contemporary bathroom design and is part of a larger designer bathroom collection. This basin is designed and made in Italy. 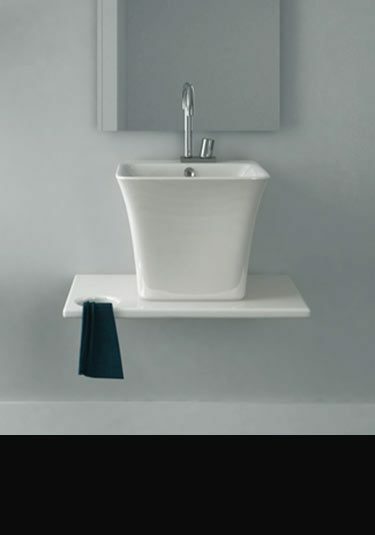 Contemporary designed wall mounted washbasin available in 2 space saving sizes. Ideal for cloakrooms, ensuites and small bathrooms. 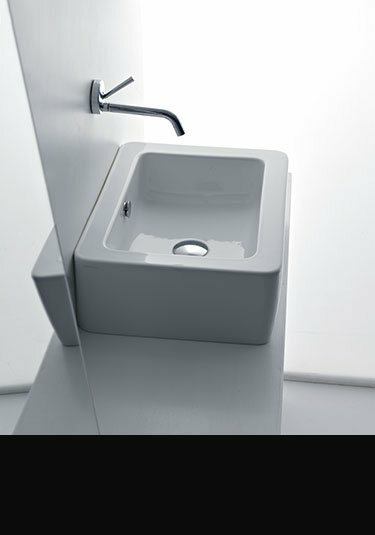 Space saving cubic designer wash basins available in 4 sizes, two with tap holes and two without. Italian designed and manufactured ensuring style and quality. 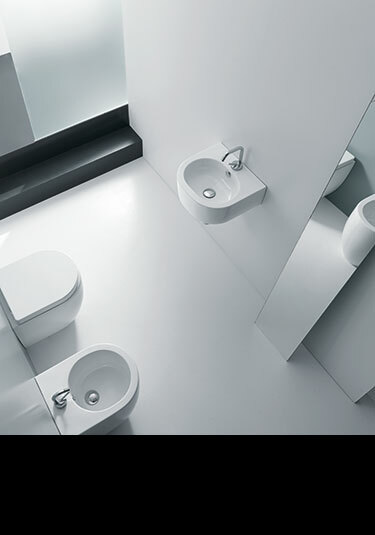 This compact wall mounted basin is contemporary in styling and is specifically designed for cloakrooms and small ensuites. Available in 2 basin sizes. 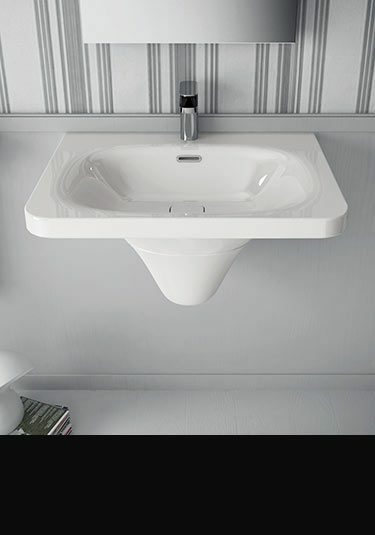 Large wall hung basin that is high quality European manufactured. This rectangular sink can be supplied with 1 or 3 tap holes. 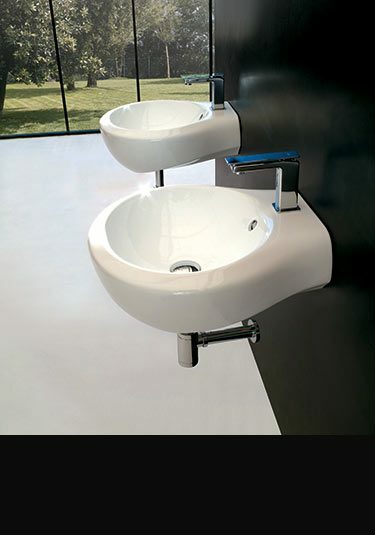 Contemporary styled Italian basin that is available in 2 sizes and with 1 or 3 tap holes. Designer offset basin for wall hanging. 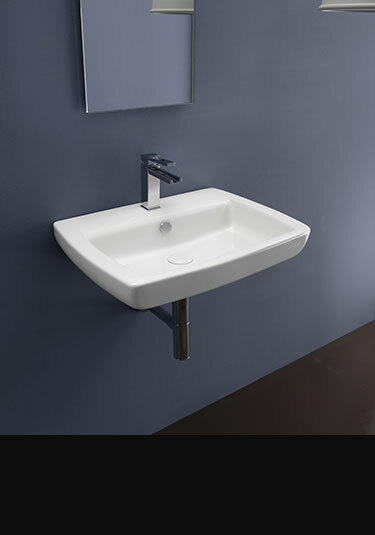 This basin can be supplied with a handy left or right handed shelf. High quality European made. With its Art Deco styling and luxury quality this wall mounted sink is a beautiful addition to any design led bathroom. A flagship design for a luxury Italian manufacturer. This lovely washbasin has clean cut styling that adds real quality to a designer bathrooms. 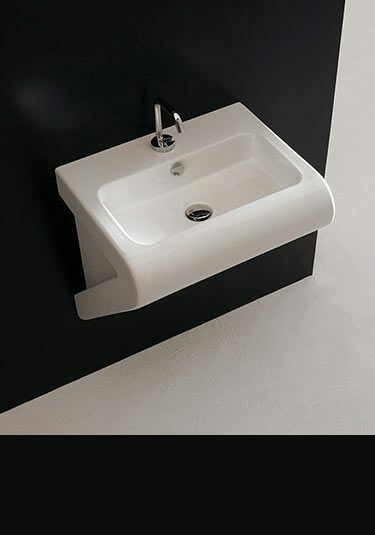 A luxury styled washbasin designed for wall mounting but also suitable for counter top installation. High quality European made. 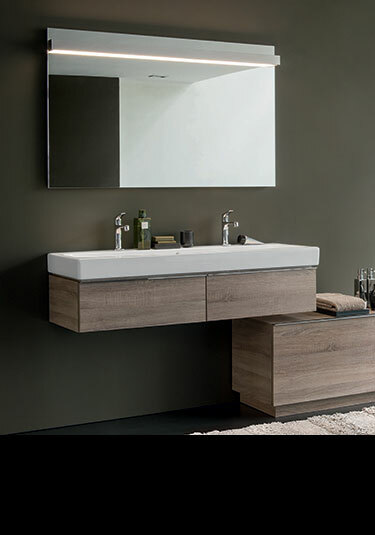 Classically designed for luxury bathrooms this white ceramic basin looks highly stylish with the wenge furniture cabinet. Italian made and designed. 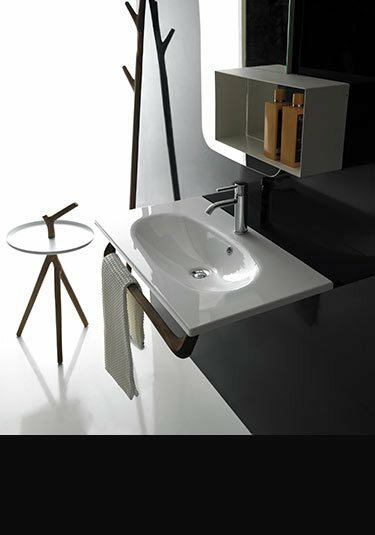 Pretty wall mounted basin that is Italian designed and manufactured, ensuring good design with great quality. Exclusive range of wall hung bathroom sinks in contemporary, traditional and space saving designs.